Legacy Planning? Think Before You Store. 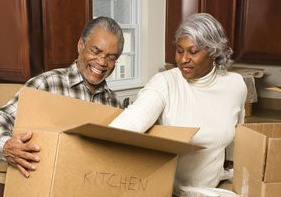 Often older married folks that are thinking about downsizing, look for a place to store legacy items without considering if the items being stored will have value when they pass to the next generation. They do not realize that items stored have built in obsolescence in our fast moving world so that even after a few years they are worthless. Take the example of a middle class retired couple that rented a Toronto storage locker for more than 15 years. When the children of the deceased couple opened their parents’ storage locker for the first time, they were taken back with items that they found. What greeted them were two 25 year old IBM XT computers with matching monitors, a Betamax video player and matching Betamax camera, 8 track tape player and a variety of tapes of the era prior to storing; old infant furniture; a Zenith 21 inch color TV, sofa, side tables, coffee table, lamps, books and accessories from the room that they all used to enjoy watching Bonanza and My Little Genie; and a few personal pieces of costume jewelery. In its day, these were all valuable items, worth their weight in gold, but over time, this valuable treasure tarnished and magically morphed itself into Fool’s Gold. This is not an isolated incident but a true story that happens frequently in the business of Toronto self storage. Can you imagine the look on the siblings’ faces when they saw what Mother and Father had been saving for them? These items were to be their parents’ legacy, or so they were told. Naturally, this nostalgic moment caused a few laughs and some tears, but in the end the only items that could be salvaged were the 8 track player and tapes that were sold to a collector. They received about $150 in total and the rest of the heavy metal went to a scrap dealer and the furniture went out in the trash. So the moral of the story is that before you decide to save personal items for the next generation, first decide if the cost of the long term storage will be worth the intrinsic value. Rule of thumb: If the value of items stored will be worth less than the cost of 2 year’s storage, sell the items today. Take your loss now; forget about saving for a rainy day. By the way the value of the estate was reduced by $36,000 or the cost of storing over 15 years.